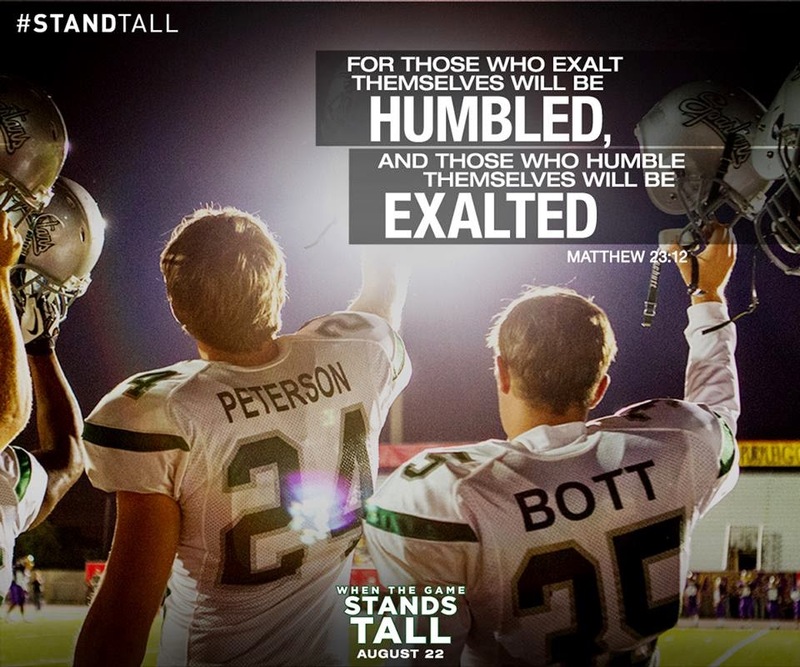 When The Game Stands Tall ~ Every Football Player, Parent And Fan Needs To See This Movie! "Winning a lot of football games is doable. Teaching kids there's more to life? That's hard." The New England Patriots hold the NFL record with 21 consecutive victories. The Oklahoma Sooners set the standard for NCAA Division I football teams with 47 straight wins. Then there's the De La Salle Spartans and their incredible 151-game winning streak. For 12 consecutive seasons, the De La Salle High School football team has known only the thrill of victories and the consistency of championships. Yet all along the way—as he builds a seemingly invincible, record-setting national powerhouse—coach Bob Ladouceur emphasizes to his young men the value of purpose and significance over the glory of titles and streaks. It's a formula that works year after year after year—even when everyone else only wants to focus on The Streak. As he tells his team, "Winning is just a way of keeping score for the days when opportunity and perfect effort meet." With the excitement of becoming team leaders countering the pressure of keeping The Streak alive, a new group of seniors are ready to take over. But when real-life adversity leaves the team reeling, the Spartans must decide if the sacrifice, commitment, and teamwork they have always trusted in can rebuild what is now disintegrating around them. Starring Jim Caviezel, Michael Chiklis, Alexander Ludwig, Clancy Brown, and Laura Dern, WHEN THE GAME STANDS TALL is in theaters now. Find a theater near you. For the De La Salle Spartans winning had become a given. If it was Friday night then victory was only a couple of hours away. Eventually the winning streak surpassed the 150 game mark. For years Coach Ladoucer (Coach Lad) had been instilling into his players that they were more than the game. Who they were off of the field was just as important as how they played on the field. He taught his men that they were a team. They learned to stand tall together. They learned to watch each other's back. The unity on the team impacted the entire community. There were literally kids that had grown up at De La Salle who had never seen their team lose. But eventually cracks began to develop. Other teams began to accuse them of cheating. Players started seeking their own limelight and the hard earned unity was eroding by the minute. The the day that they thought would never happen happened. The lost. They lost the game, they lost a player and they came very close to losing their beloved coach. When The Game Stands Tall is a movie about winning. Not just a football game, but at life. The inspiration of the Spartans isn't really about how they managed to win so many games. What is truly inspiring is how they learned to stand tall together after they fell from their lofty heights. If you're a player, parent or fan you need to go see this movie. In an age of sports scandals this movie will remind you that the game that we all love has the potential to impact our lives in a good way. 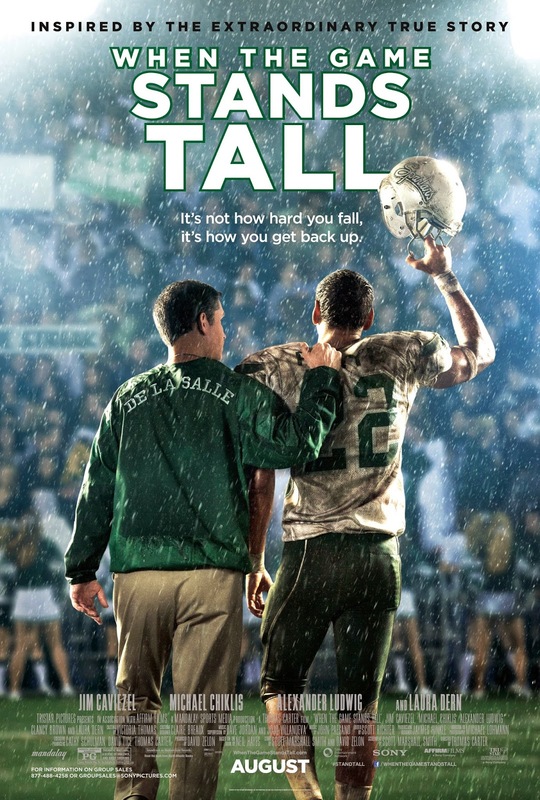 When The Game Stands Tall is what football and team sports in general should be about.